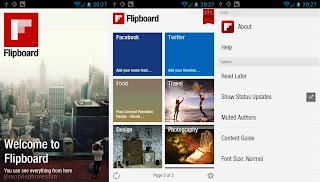 Mobile Phones Fan: Ripped: Android Flipboard APK ...No Waiting! Here it is, the long-awaited Flipboard for Android APK from Samsung's Galaxy S III. 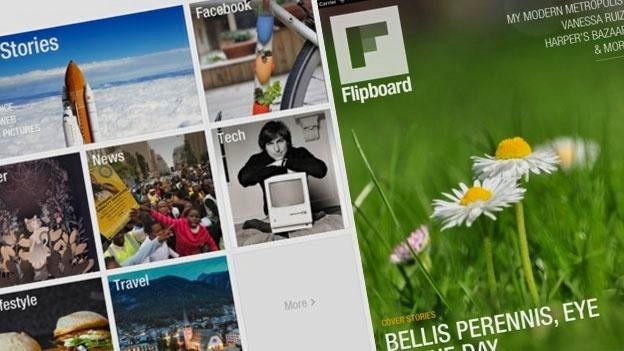 Flipboard creates a personalized magazine out of everything being shared with you. Flip through your Facebook newsfeed, tweets from your Twitter timeline, photos from Instagram friends, sounds from SoundCloud and much more. The real draw here is the design, which not only resembles a print mag in appearance but also delights the eye with beautifully rendered 'page-flip' animation, as you casually peruse your preferred content. Honestly, we think Flipboard could make IRS notices look like a fun read. There's good reason Flipboard was Apple's 2010 iPad App of the Year. Take our word for it -- Flipboard for Android is definitely worth your time to try out. This APK is tested to work on Ice Cream Sandwich, Gingerbread 2.3.3+ and latest CyanogenMod ROMs, but beyond those revs your mileage may vary. Enjoy! Boilerplate: Download link has full APK; install it like any other app. For some Android phones, you must rename the file, changing 'apk' to zip', before installation. Update: (13 May) Flipboard has issued a revised Android app (v1.8.4), which is being pushed to registered users. This latest version is supposed to improve Flipboard's widget features and fix crashing "on some earlier versions of Android" -- whatever that means. However, the update itself seems buggy. Some users report that it won't install on their phones, period. We had two problems: mainpage images wouldn't load, plus the app repeatedly asks for our Facebook login ...tho' we never set up a FB feed, in preferences. MobilePhonesFan's advice: if this original APK (v0.7.17) works on your phone and/or if you don't have a Facebook account (v1.8.4 continually requests FB login), then skip this update.